You’ll always start off with a small group of peasants. The peasants aren’t… how shall I put this… the smartest of individuals, but they’re a merry bunch and are always eager to please! They like nothing better than a good dungeon run, but sadly, they’re not very good at it. That’s where you come in! Try and get them to the exit stairs safely. Everything else is a bonus as far as I’m concerned! 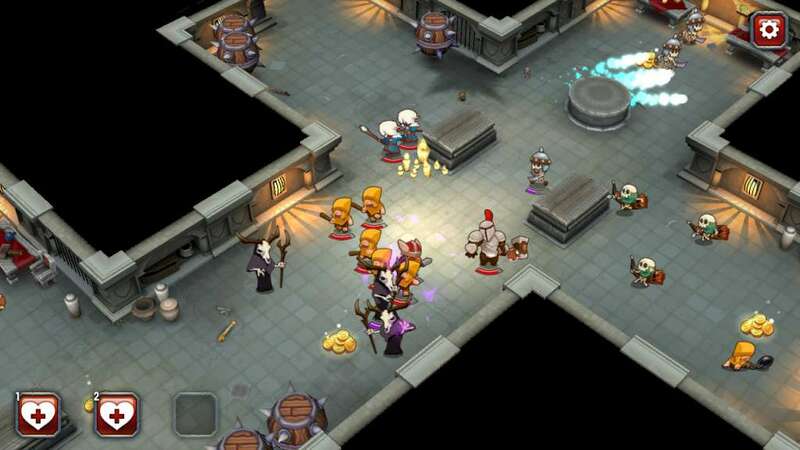 Super Dungeon Run is a massively single player roguelike RPG! It is designed to be accessible and addictive. 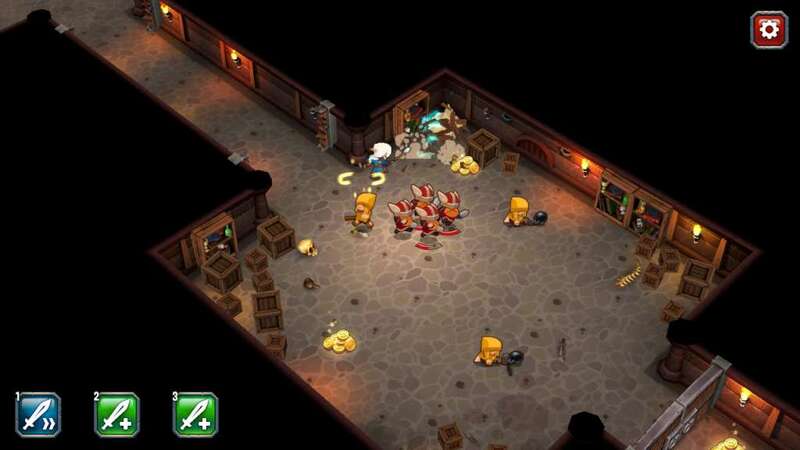 It’s part Diablo, part Temple Run and part Pikmin. Different every time! 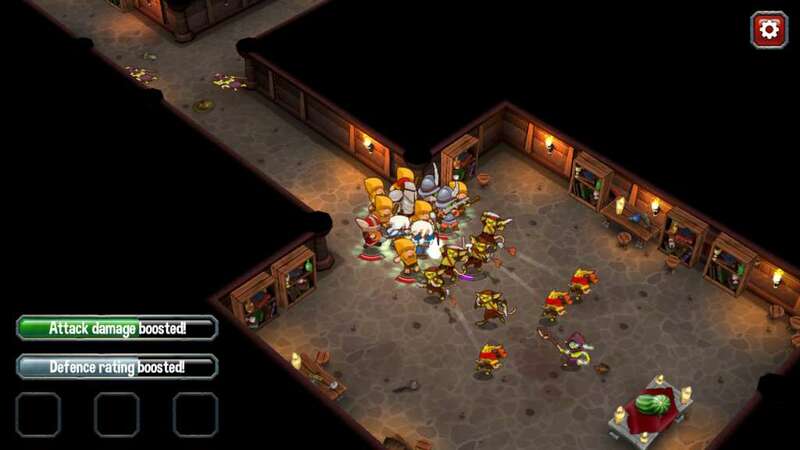 Semi-procedural levels mean no two dungeon runs will be the same. Epic equipment! 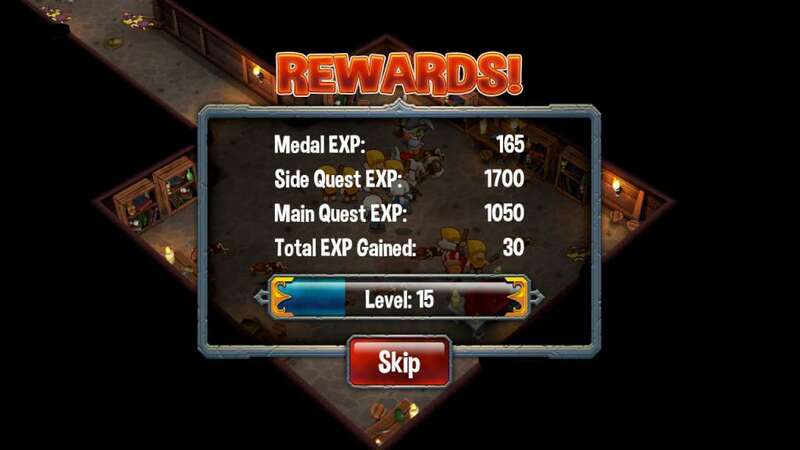 Unlocking new outfits and potions for your heroes will greatly improve their strength and capabilities, allowing them to get deeper into the dungeon for greater rewards. Deadly traps and dangerous monsters! Encounter all manner of creatures and contraptions that are focused solely on your premature demise in a variety of violent (and usually messy) ways. Multiple dungeon types! Discover multiple dungeons and their various inhabitants, such as the musty, mildewy cellar, or the eerie, enigmatic crypt. Exciting content! 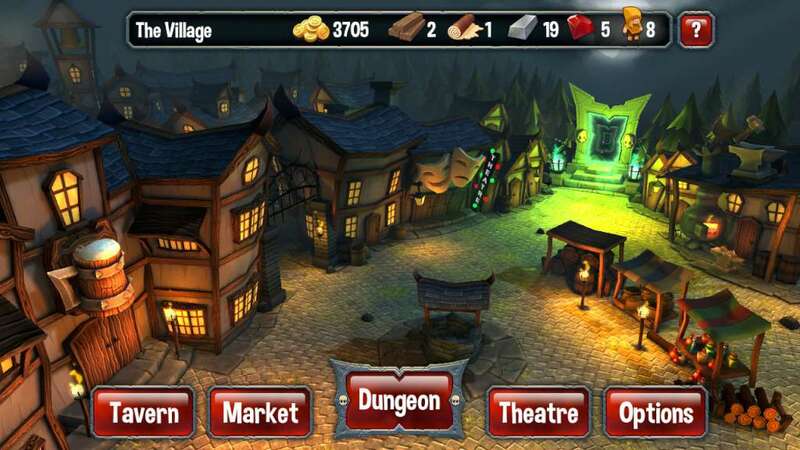 Complete quests for colourful characters or see how far down into the dungeon you can make it. Will you discover what lurks in the deep dark depths? Get loot! Make your fortune by pilfering gold from the dank denizens of the dungeon and discover valuable materials to craft upgrades for your heroes. Level up your party! 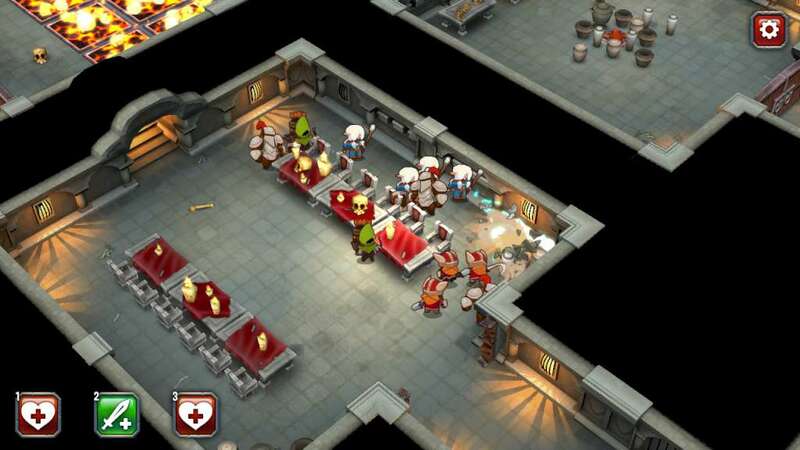 Gain experience and stop your heroes from spectacularly dying in the dungeon… for a while anyway!